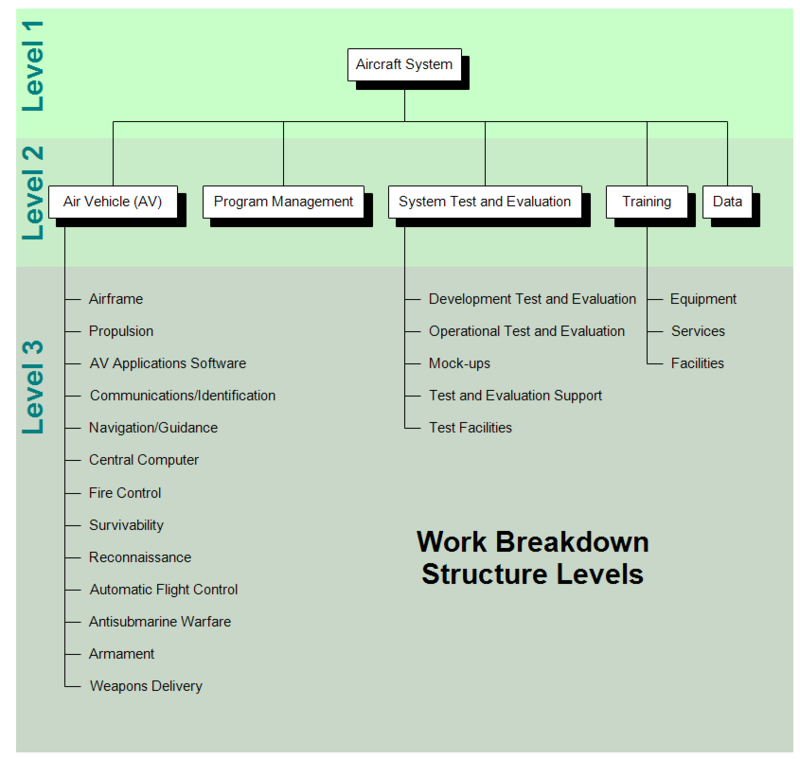 Description A Work Breakdown Structure (WBS) chart is a hierarchical breakdown of a project into successive levels. Each level contains more detail. Once RFFlow is installed, you can open the above chart in RFFlow by clicking on wbs1.flo. From there you can zoom in, edit, and print this sample chart. It is often easier to modify an existing chart than to draw it from scratch. To draw this chart without downloading it, run RFFlow and click on the More Shapes button, click the Work Breakdown Structure stencil, and then click the Add Stencil button.